Wallhalla, Vännfors on the east side of the unspoilt Vindelälven. Here you live close to meadows, woods and water. An old farm where you young return to the tradition and community of the last generation. Nature offers its rich resources in the form of berries and mushrooms. Vännfors is today occupied by more than 200 people and is at a commuter distance to Umeå. 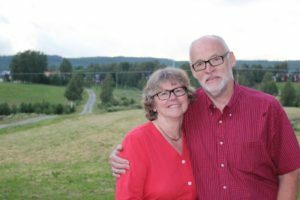 Vännfors with its surroundings offers a beautiful and varied nature. We can recommend several exciting excursions by foot, by bike or by car and you will be welcome to attend some of the activities that are usually organized in the village. Wallhalla has three newly furnished bedrooms with high ceilings. We have decorated in old style but with modern comfortable beds, bathroom and large family room upstairs overlooking the countryside. Here you can also find great pictures where you can browse or watch your pictures from today’s excursion. 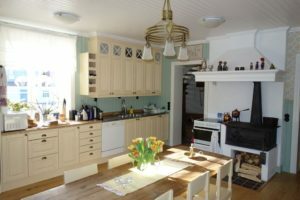 We serve breakfast in our old-fashioned fitted kitchen or in the garden when weather permits. 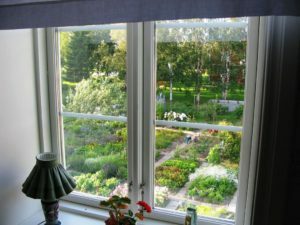 Here you will be offered homemade bread as well as berries and vegetables from the private garden. 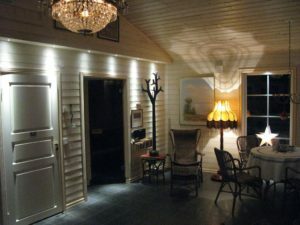 Rent our relaxation area and relax with a sauna and have a nice moment in the food, reading and mining corner. 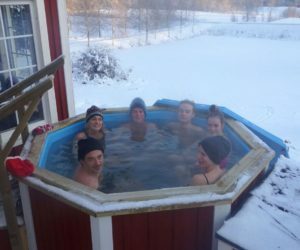 We warmly warm up the hot tub for you and your company, 2-8 people, where you can sit and watch the stars in 39-degree water surrounded by the winter dark or summer night..
500 SEK (basic fee) plus 250 SEK / person for three hours with sauna and hot tub incl towel and bathrobe. We serve beer, preferably locally produced, or wine and have snacks. Here you can hold parties and meetings from May to October for 50’s guests and participants in our furnished farmhouse and here you can celebrate your wedding and spend the wedding night in our suite decorated especially for you. Throughout the year we can accommodate smaller groups of 8-10 participants and 6-8 can sleep over if desired. We have rights to serve alcohol. 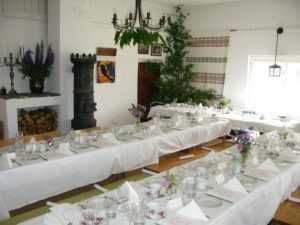 Wallhalla is Västerbottensgården from the early 19th century, renovated with old-fashioned details. The name “Wallhalla” combines our last name with the owners’ old name “Halla”. Here we clean environmentally friendly without chemicals. Drive E12 from Umeå towards Vännäs about 24 km, turn right before the bridge over Vindelälven. Turn left after 7 km at the sign Inbyn. 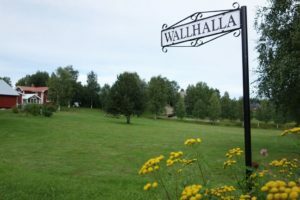 Wallhalla is the first farm on the right side.